Read the rest of "Recent challenges on SOAP". Read the rest of "Service Window Feb. 21st". Read the rest of "Database Optimization Service Window". The migration of the e-conomic application to our new Public Cloud set-up has been successfully completed. This means that the originally scheduled second maintenance window from Saturday, October 20th, 6:00 PM CET - Sunday, October 21st, 6:00 AM CET has been cancelled. Read the rest of "Public cloud migration complete – second maintenance window cancelled". Read the rest of "Upcoming service windows Oct 19th and 20th: e-conomic is going Public Cloud". Read the rest of "MobilePay deprecation from the REST API". Read the rest of "Phasing out Swedish functionality in REST". Read the rest of "Changes in validation on /orders and /invoices". 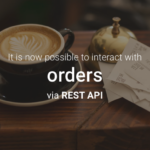 Read the rest of "/orders are now available on the REST API". 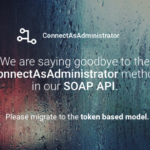 Read the rest of "Removal of the ConnectAsAdministrator method in e-conomic SOAP API".